The Boring CompanyThe red segment represents the ‘proof-of-concept’ tunnel that would be used to run tests. The blue segments are potential expansion routes if the tunnels are approved to use for public transportation. 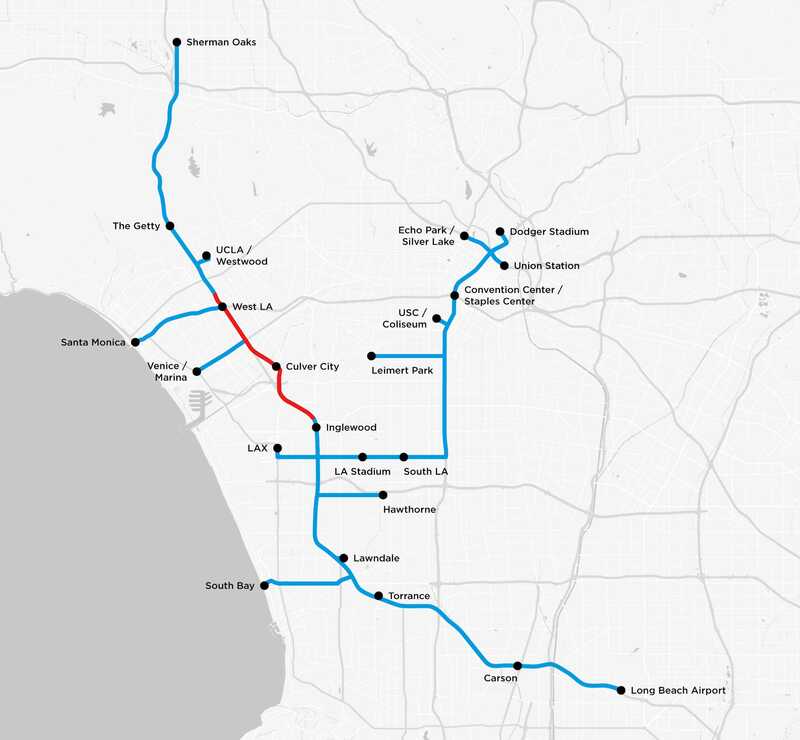 Elon Musk’s Boring Company has released a map for its proposed tunnel network in Los Angeles. The network would hold electric skates that would allow passenger cars and automobiles to travel at speeds of up to 150 mph. The Boring Company is constructing a “proof-of-concept” tunnel that would allow the company to run tests before the tunnels could be expanded or used for public transportation. 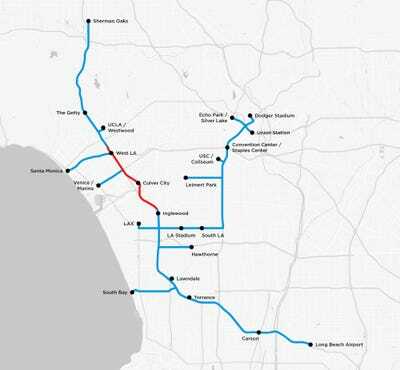 Elon Musk’s Boring Company, which was founded to create the tunnels for an underground transportation system in Los Angeles, has released a map illustrating a proposed network for those tunnels. The Boring Company was iinspired by Musk’s frustrations with LA’s notoriously congested traffic. Operating beneath Interstate 105, the tunnels would hold large electric skates that could transport cars at speeds of up to 150 mph. Commuters without their own vehicles would be able to travel in communal passenger cars. The tunnels could also one day be used for Hyperloop, a high-speed rail system that would allow passengers to travel at speeds up to 700 mph. The first step in the construction process is to create a 6.5-mile “proof-of-concept” tunnel that would allow the Boring Company to run tests that could eventually lead to approval from the Los Angeles county and city governments to expand the tunnels and use them for public transportation. A 500-foot segment of the tunnel is already complete. Musk also hopes to build tunnels in Chicago and between New York City and Washington, DC.